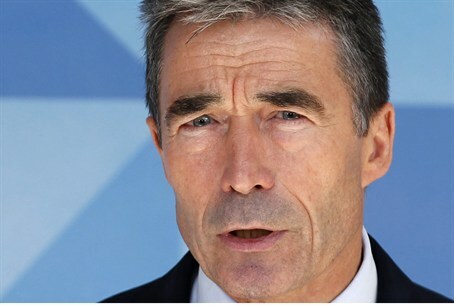 NATO’s Secretary General Anders Fogh Rasmussen condemned the incident saying, "We consider this act to be unacceptable and condemn it in the strongest terms…It is another example of the Syrian authorities' disregard for international norms, peace and security, and human life." "We discussed the shooting down of a Turkish aircraft by Syria. All allies have approved a statement setting out our firm position, "said Rasmussen following the meeting of North Atlantic Council of NATO. The Turkish-Syrian alliance has turned increasingly sour during Syrian President Bashar al-Assad`s brutal 14-month crackdown on a popular uprising against his rule. However, last Friday when a Turkish jet F4 Phantom was shot down by Syria, relations between Ankara and Damascus turned potentially hot. Turkey claims the jet was in the international space when it was fired on, but Syria says the plane was in their airspace. Protesting the downing of its jet in vigorious terms, Turkey invoked article 4 of NATO's founding treaty and requested a meeting of NATO members to decide on the response. As a result, the twenty eight member states of NATO met Tuesday in Brussels to discuss the incident, before Rassmussen released his statement. "Let me make this clear. The security of the alliance is indivisible. We stand together with Turkey in the spirit of strong solidarity," the alliance Secretary General said. Turkish PM Tayyip Erdogan - known for his bellicose rhetoric - warned Syria of Ankara's furor saying, "Everybody should know that Turkey's wrath is just as strong and devastating as its friendship is valuable." "Our rational response should not be perceived as weakness, our mild manners do not mean we are a tame lamb," he said. Turkey also sent a letter to the UN Security Council saying that the incident posed “a serious threat to peace and security in the region." The letter further condemned the "hostile act by the Syrian authorities against Turkey's national security". Despite NATO's strong statement in support of Turkey, analysts say there is little chance the alliance will intervene to oust Assad as it did against late strongman Muammar Qaddafi in Libya.